← Will the Giro d’Italia be climbing the Col du Galibier ? 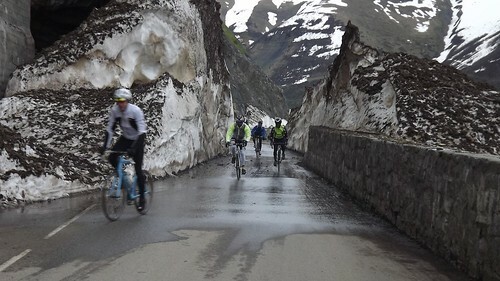 Despite the vast amounts of snow we have had the local authorities have managed to cut through the snow to allow access to the Col de la Croix de Fer. Our cycling group came over from the north side after watching the Giro d’Italia pass Modane as part of our Giro d’Italia weekend. The Col du Glandon summit can now also just about be reached but there is no way over the top yet ! This entry was posted in Col de la Croix de Fer, Col du Glandon, Giro d'Italia 2013 and tagged Col de la Croix de Fer, Col du Glandon, Giro d'Italia. Bookmark the permalink.